Time: the 1970’s. Place: New York City. This dramatized essay explores how women feel about verbal harassment by men on the street. What do they think? What do they want to do? “… the audience was entranced by a rare street harassment PSA that outdoes any I’ve ever seen. 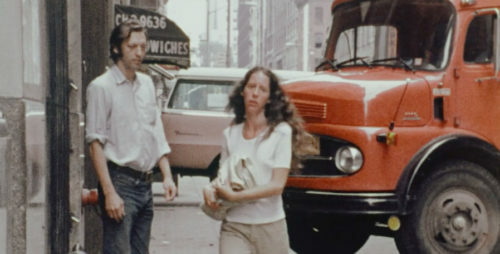 It was conceived, essay style, by Women Make Movies co-founder Sheila Page and released in 1977. A Street Harassment Film is 11 minutes of pure triumph. After recognizable and claustrophobic scenes of women being verbally accosted or cornered on the street, a self-defense class takes over the screen. An instructor urges women to note how hard the bones in their elbows are, to feel those elbows when insecurity strikes. She asks them to press the tender spot just under their own noses. Hurts, right? She is centered and almost comical in her delivery. The subtext is that women are human, able to feel and inflict pain. They reunite with their own bodies. There’s a chorus of screaming as the women run through their drills. testing, testing, how do you do? 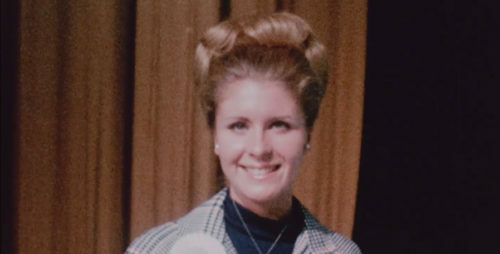 Women’s Liberation protesters target the 1969 Miss America Pageant… The movie shows the boardwalk action — Women’s Liberation protest and crowd reactions — as well as behind-the-scenes pageant preparations inside Convention Hall. “The first image of this short doc hooked me… I loved this glimpse of the 1969 Miss America pageant protests on the boardwalk juxtaposed with interviews of contestants & dissidents. 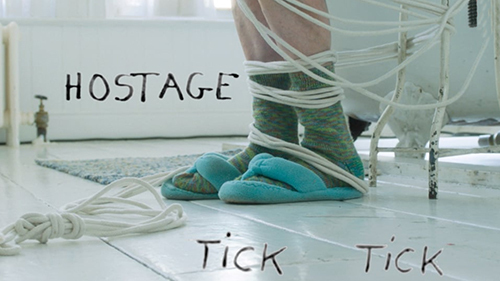 The 64 year-old birthday girl sits captive to the ticking of an antique clock. Time opens; it flows as a mighty river, singing of life and freedom – her epiphany.